Organic traffic is the traffic generated by natural use of people on the internet it is not paid and depends on your content to and keywords in the copy to drive your pages popularity on the net. Paid advertising requires a budget and the campaign service designs ads of keywords that will drive traffic to your site by paying for each time a person clicks on the advertisement with the selected keywords. 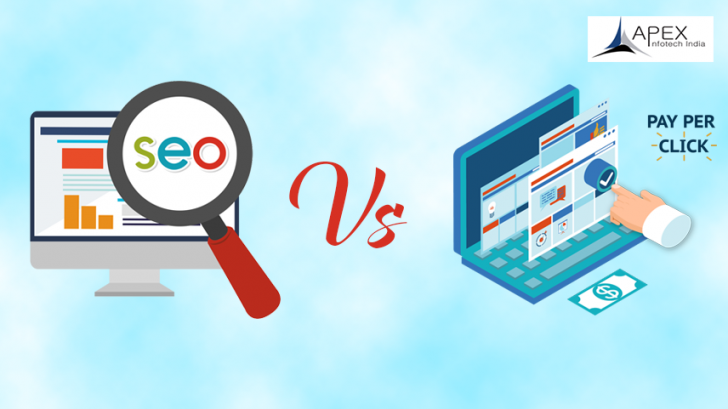 Search Engine Optimization (SEO) and Pay Per Click (PPC) differ in the price. This is the reason why you see organic search engine listings and paid search engine listings differently. For either type of listing, you need the right Search engine optimization service or PPC marketing service. Both SEO and PPC services are governed by the Search Engine Marketing (SEM) service the tools used in an Internet Marketing campaign. The major differences between the two are based on these criteria: position in search results, cost, traffic potential, conversion rate and simplicity of using it. PPC Ads are found above, below or on side of organic results when listed on a search result by Google. Depending on the keywords target, keywords in the ad, keywords in the landing page etc.) Paid services will help you set your goal. It will never appear along with organic results. Organic results appear only in the middle of the page. But have a ranking which can be helped by using a search engine optimization service. SEO: the goal is to be the top result in a Google search. PPC: one can use a good PPC marketing agency in Mumbai and pay higher costs per click (CPC) to get a better ranking. SEO traffic is free and PPC is paid but you need a good PPC marketing and SEO company in Mumbai to manage your campaign. One would be able to do it yourself but I would trust a well-experienced agency to manage both your strategic campaigns. One wants to select the right technique to rise in SEO ranking as well as get the most out of your PPC campaign you want maximal conversion and a high rate on your investment ROI. PPC depends on the popularity of the keywords chosen. How will you know this you need an Adwords agency to help you out? SEO Costs are indirect for an SEO optimization service.PPC allows you to use payment as you go based on the number of clicks it is direct. Both are complex (SEO and PPC) you need an SEO and PPC marketing service provider to help you with your campaign management and SEO service for both paid and organic conversion. Good results with PPC and Adwords can be achieved. Both PPC and SEO as part of your Internet Marketing campaign are needed.